Amanda The Mad Scrapper: 2012....what to do about you...? Hi....hope you are enjoying my much needed updates here. At the start of 2012 I made the decision NOT to print any photos during the year, and instead focus on scrapping photos that were sitting in my drawer waiting to be dealt with. I have been going on a scrapping retreat with some wonderful ladies twice a year, so I knew I could get a lot done (except on both occassions last year we did less scrapping and more just relaxing and spending time together). Of course, during the year I discovered Project Life and I also did a major purge of my photos so things could be tackled differently. 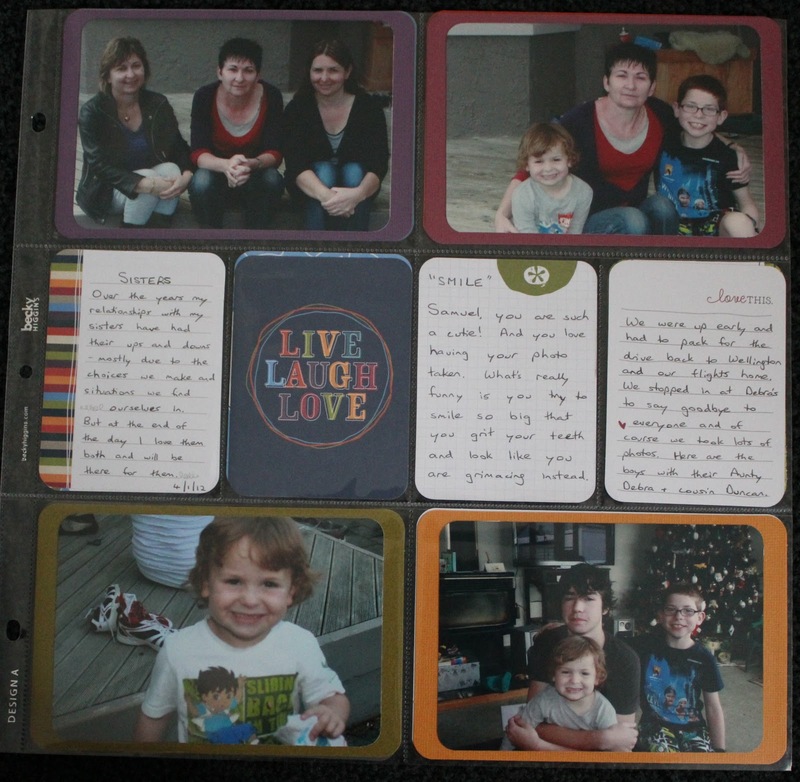 So, on the 27th December I decided to order all the photos from 2012 from Snapfish, and create a 2012 album using PL. Not a week by week or month by month album, but an album of events in order as they happened. While I waited for the photos to come back, I ordered more 4x6 cardstock from Crafthouse (cause I put my Selphy photos onto backing board this is the easiest way to do it) and decided on the kit I would use....Cobalt. I have to admit at this point that I had a number of kits already so I didnt have to wait for this. 1. Sorted photos into event groups, with the different size photos in each group also. 2. 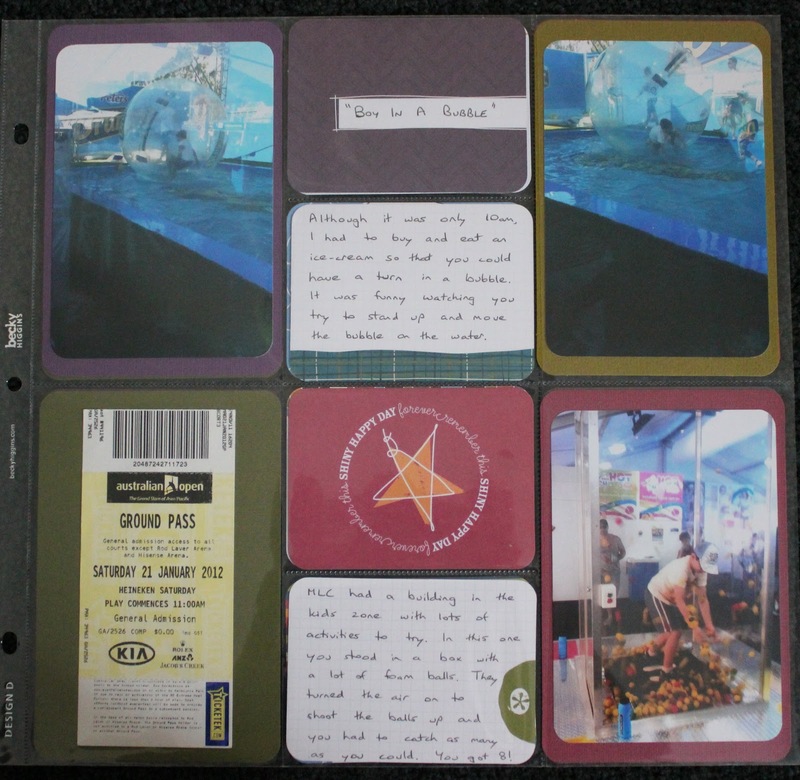 Worked out which page protectors to use (i was amazed at how many were vertical not horizontal) and which order photos would go in. 3. 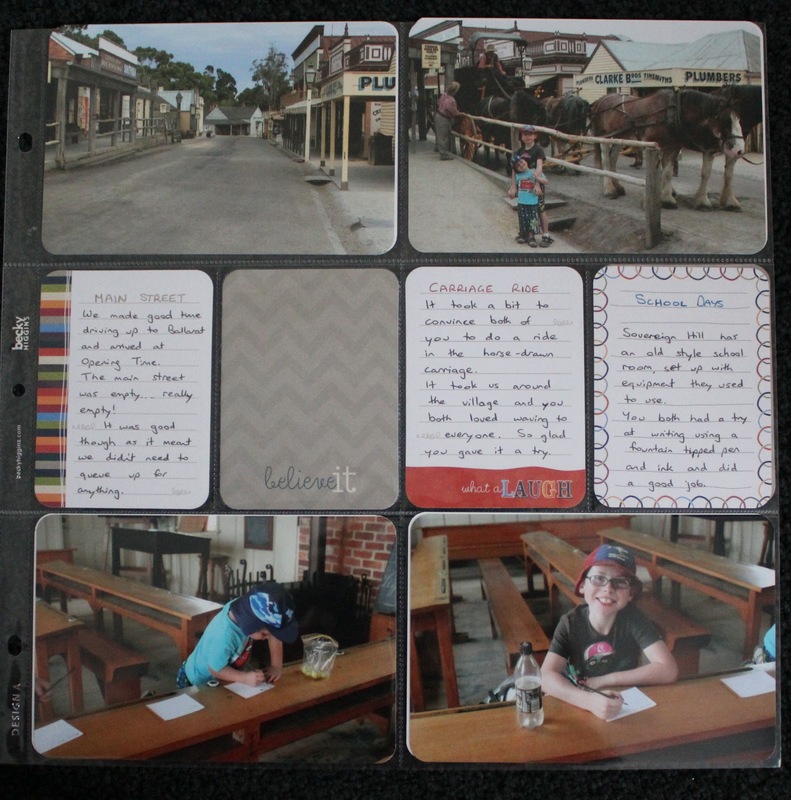 Cut photos and rounded corners to fit in the page protectors as needed. 4. 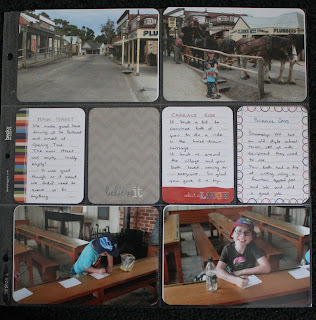 Put photos onto backing cardstock and straight into the pockets. 5. Filled in the remaining pockets with journalling cards and filler cards. And this is where I am up to. I have done some pages and these are at the bottom of the post. So, don't look at all you have to do and decide it is too big a task.....look at it and work out a way to break it into chunks you can deal with and deal with those chunks as time allows. I don't know how long it will take me to finish the journalling but it will get finished. I can pull the album out, get a journalling pen and do a few pages after dinner while watching tv....how easy is that?